Manoj Nelliyattu Shyamalan (born 6 August 1970), known professionally as M. Night Shyamalan, is an Indian-born American film director, screenwriter, and producer known for making movies with contemporary supernatural plots that climax with a twist ending. He is also known for filming his movies (and staging his plots) in and around Philadelphia, Pennsylvania, where he was raised. Shyamalan released his first film, Praying with Anger, in 1992 while he was a New York University student. His second movie, the major feature film Wide Awake, made in 1995 but not released until three years later, did not succeed financially. Shyamalan gained international recognition when he wrote and directed 1999's The Sixth Sense, which was a commercial success and nominated for six Academy Awards, including: Best Picture, Best Director and Best Original Screenplay. 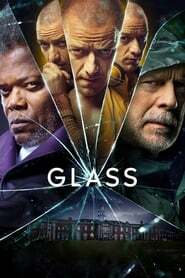 He followed The Sixth Sense by writing and directing Unbreakable, released in 2000, which received positive reviews. His 2002 film Signs, where he also played Ray Reddy, gained both critical and financial success. His next movie The Village (2004) received mixed reviews from the critics, but turned out to be a financial success. 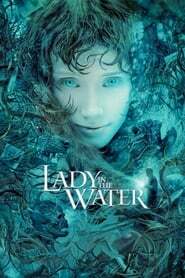 His later fantasy film Lady in the Water (2006) performed worse critically and financially. The film The Happening (2008) was a financial success but also received negative reviews. The Last Airbender (2010) received extremely negative reviews in the United States and won 5 Razzie Awards, but has gone on to make nearly $320 million internationally at the box office. His latest film, Devil (2010), which he produced and wrote the story for, but did not direct, was not screened by critics before its release but eventually received mixed reviews. Devil was not a blockbuster hit but has become a commercial success relative to its low budget and was named as one of the top 5 horror films of 2010 by ShockTillYouDrop.com. Description above from the Wikipedia article M. Night Shyamalan, licensed under CC-BY-SA, full list of contributors on Wikipedia. Apartment building superintendent Cleveland Heep rescues what he thinks is a young woman from the pool he maintains. When he discovers that she is act...More.